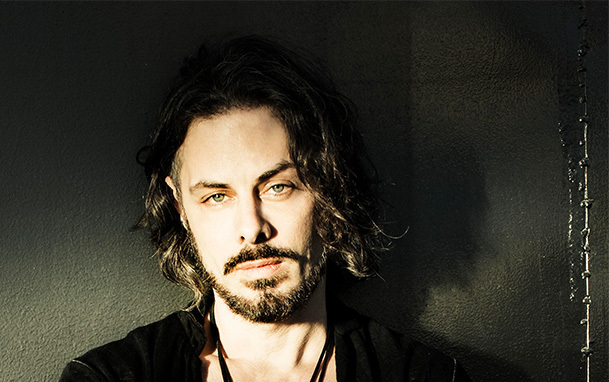 Guitar hero, prolific songwriter and performer, Richie Kotzen does it all. This month, Kotzen released his 20th solo album, Cannibals. Blues Rock Review caught up with Richie to discuss the new album, the Winery Dogs, songwriting, and the challenges artists face in today’s music industry. Were any songs on Cannibals particularly difficult to write and put together? I did encounter a few interesting challenges. For the most part it’s usually fairly easy, the whole recording process, but there were a couple of things that were challenging only because of the nature of how the songs originated. The song “Up” was a song that I had written the basic idea of the song many years ago and there was sort of a demo of that on my hard drive and I remember finding it. The drum track was recorded and there was a keyboard on there playing a part, kind of a guide vocal with no lyrics. I finally figured out what I wanted to do lyrically and then I started working on that original track. The first thing I did was replay the piano and I did some arrangement editing, but the challenge was to give the track the sound and feel the way I really wanted it to feel. And it was everything from the background vocals, having to try various attempts at getting those right, and the actual groove trying to get that to feel right. Finally it just came together in the end. I actually added a drum loop to the track with my drum performance and that was kind of the final thing that brought that song to life, but it was a process. It took a lot of time. And then some of the other songs were really simple, no challenges whatsoever. Did you have any specific goals with this album or new that you wanted to try out? No, but I think by nature of how I’ve evolved as a person this record is unique. I don’t think it is unique because I purposely set out to do something different, I think it just came together that way. At the same time I think it’s consistent with where my last record left off. I haven’t released a solo album since my record 24 Hours, which was back in 2011. If you listen to that record and the previous one and listen to Cannibals they all tie together well. But there are some things on this record that are unique. One of the things is the song “You” for example that I co-wrote with my daughter. That’s the first time I ever did something like that and it wasn’t really a co-write in the sense that we sat down together, but it was more like something that she has written previously, which was the piano part and then I went in years later and I found that performance on a hard drive and I decided to turn that into a song and I wrote the lyrics. That’s kind of of cool for me because doing a song that was written with my daughter I’ve never done that before. When you write new material do you set aside a time when you’re going to write or is it more organic, perhaps stumbling on a new riff when you’re playing guitar? It’s definitely nothing that I plan or schedule on a day planner, definitely not. It’s completely random when you’re gonna get inspired to write something, so it’s something that you learn over time to identify and accept. Inspiration can come at any time. The song “Cannibals” I was sitting in a restaurant and I heard an idea for a song, which was a melody, so I ran outside and grabbed my phone and I sang the idea into my phone and later went home and finished writing the song. Other times you get ideas even in your sleep. I’ve definitely been in that type of state of mind where I’m kind of asleep but I’m sort of aware of what’s happening around me and song ideas come at that time as well. The key is forcing yourself to wake up and document the idea. I know from experience if I don’t document the idea I’ll never remember the next day. Do you find yourself recording certain ideas onto your hard drive that are not complete and then returning to them later? Oh my God, yeah! This entire record is compiled with ideas that have started a long time ago and I never finished them. And suddenly now I found a way to finish them. So, the song “Cannibals” is new, but songs like “In An Instant” for example, the introduction and prechorus are actually old recordings themselves, not only ideas, but they were recorded. I cut them out of the song that they were in because I like the sections and I wrote everything else around that. So, that happens all the time. You get an idea and sometimes right in that moment you finish it and it becomes a song and other times it takes years later to come back and revisit the idea. Working with the Winery Dogs as well these days how do you decide which material is for the Winery Dogs and what you use for your solo career? On the first Winery Dogs record I had a lot of material written and a lot of material in the process of being written and so at that point I would have normally done a solo record with that material. However, the Winery Dogs came to be and we were working on our record and we needed more material and so I started playing ideas and songs that I had in progress, so we just kind of picked them together. That isn’t happening right now because I just released a solo record and second of all the process of writing; we’re kind of sitting in a room and throwing ideas around and in the end it’s up to me to write lyrics and finish the ideas and turn them into songs. But I don’t foresee me bringing in completed compositions on this record like I did last time. I think we will be able to do everything from scratch together. How is that process for you going from solo where you play many of the instruments on your records and then going to a group like the Winery Dogs where there are a lot more influences? It’s definitely a shift in gears. Sometimes the situation is just kind of trusting and not reacting or doing what I would do under normal circumstances. A lot of times someone makes a suggestion that I like and say that’s a great idea. Other times someone might say something that I don’t like that and at that point it’s a choice of I don’t like that idea, let’s try something else. Or I don’t like that idea but I’m gonna roll with it and see where it goes. Most of the time I do that. Most of the time if I don’t like something I kind of let it go and see where it leads and usually it ends up somewhere good because we work through it. Also you have to know you don’t want to squash someone else’s creative input. I think it’s something that comes from experience. Had I not been a solo artist for so long I probably wouldn’t have the same skill set that I have when it comes to writing with other people because I know what it feels like as a writer when I’m writing alone. I have that creative flow. I try to allow that to exist within a situation of three people writing together. In this day and age how critical do you think it is getting music videos up on YouTube to help build an audience? I think it is critical. It’s one thing to have the music but by doing a video, people just love to look at stuff and have a visual to go along with what they’re listening to. I think it is pretty important, especially for younger bands so people can identify what the band is about. And it was important in the past when MTV was playing music videos. Every band that put out a record would put out a music video and it’s just moved now to YouTube and it’s still just as important as it was, but now more people can share the videos. In the past you didn’t have any control over what got played and now you have 100 percent control. What do you think are the biggest challenges for artists today trying to get known? I know what my challenges were when I was trying to get known, but some of them might not be relevant anymore because everything’s changed so much. I think probably one of the biggest challenges I would imagine is building your audience. And that’s what the challenge was years ago as well, but building an audience is always tricky. If you’re a rock band definitely it involves playing live, building a base in your local area and then of course having some kind of social media presence, so that after people come and see you play they can follow what you’re doing and know when you’re playing again. So, that is kind of obvious to most of the young musicians, but I think what is challenging is getting into the position where you’re actually making a living from your music and that’s always been a challenge, but it gets more and more difficult as time goes on because the technology now has gotten to the point where less people are buying music, so that makes it difficult because it costs money to make a record and then suddenly people aren’t buying records then you don’t have the funds to make that record and it becomes kind of a weird situation. In some ways it’s easier because you have social media to have an instant presence but then some ways I think it’s harder because there’s more people putting their stuff out there. There’s more people on social media obviously because it didn’t exist before and then on top of all of that it’s harder to make a living selling records. I just think it’s really challenging. Do you think it’s more competitive and difficult today for artists to get known than it was when you were coming up? I just think the focus has changed. In other words, years ago a band would go out and play some gigs. If you lived on the East coast like me, I played in Philadelphia, New Jersey, Delaware, Baltimore, and I kind of hit that area over and over with my band, got known, people paid money to come see us play and that was that. The next step would have been to get a record deal and the band didn’t stay together, so it didn’t happen. Now you have the same kind of thing only you aren’t looking for a record deal per say, you’re looking to build up your social media, your presence on the internet. I think for a rock band it still comes down to playing live, but the focus is not so much to get a record deal, as much as it is to get a presence on social media and build a fanbase so people are aware of you and come to your shows. If you had a chance to collaborate with anyone that you haven’t worked with who would that be? Now that Paul McCartney is just playing with anybody that asks him I think I could probably try to get in a room with Paul, might be kind of cool. Seems like it’s pretty easy now. He’ll just kind of play with anybody, so maybe that’s what I should shoot for? Anything else you’d like to add about Cannibals? I guess it’s my 20th record. It’s kind of hard to imagine that I have been releasing records for that long, but I guess I have. I just hope people dig the record and if they’re curious as to what I’m doing they can follow me on my social media site, so check me out on RichieKotzen.com.